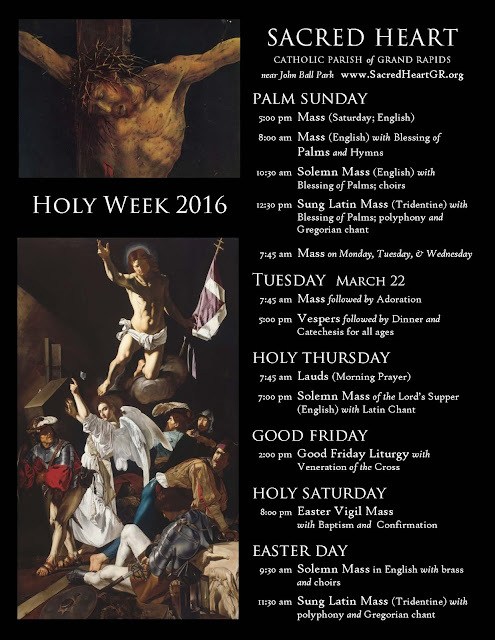 Below, we have a few more holy week schedules from around the US and UK! Latin Vespers of Palm Sunday, sung in Gregorian Chant; possible polyphonic hymn and motet. St. Ann Chapel. Mass of the Lord's Supper, Foot Washing, and Blessed Sacrament Procession. 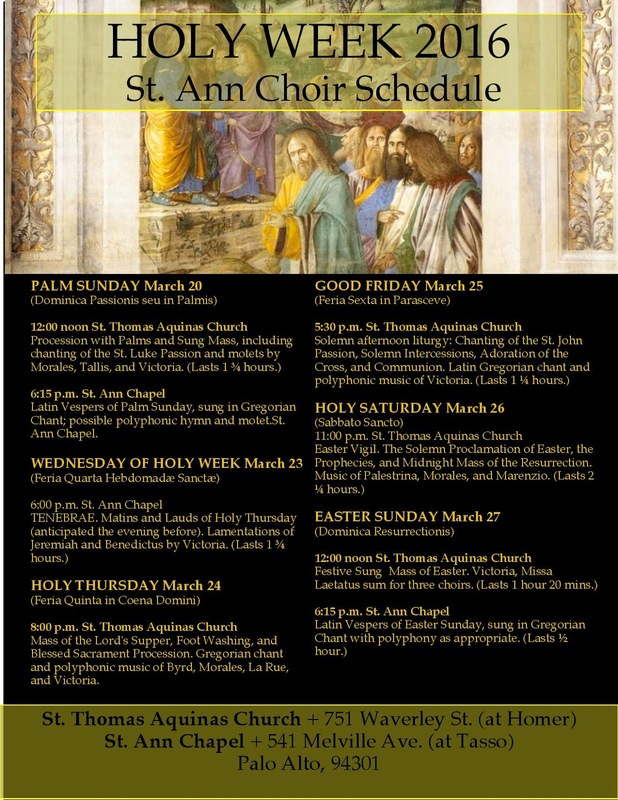 Gregorian chant and polyphonic music of Byrd, Morales, La Rue, and Victoria. 5:30 p.m. St. Thomas Aquinas Church.